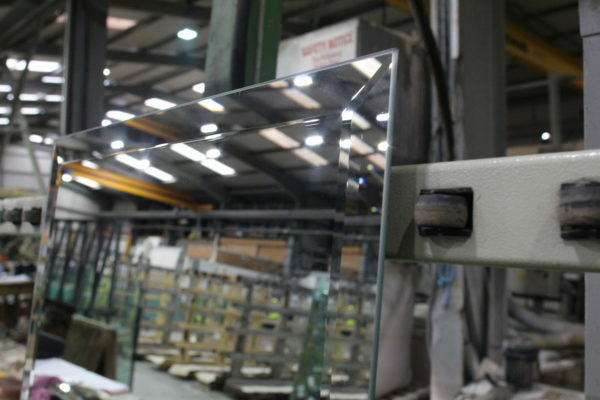 Bevelling is the process of profiling and polishing that creates an angled surface around the edges of the glass. 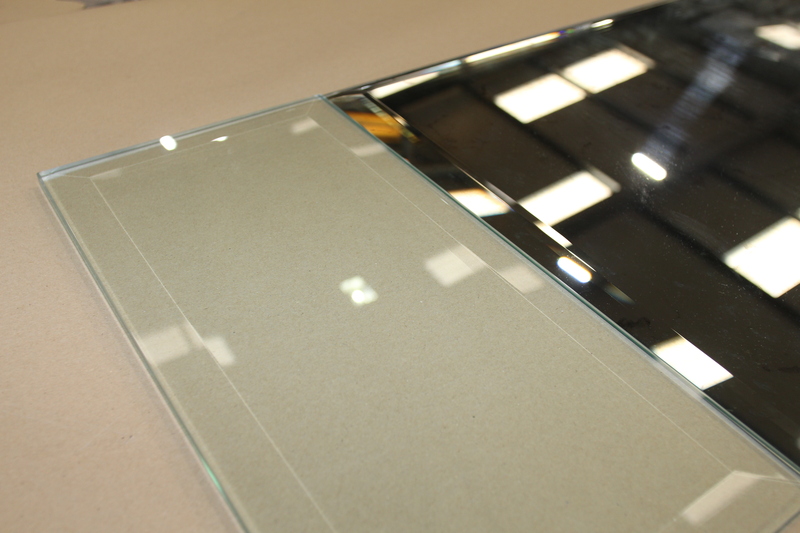 This creates a prism like effect which produces an elegant framed look. 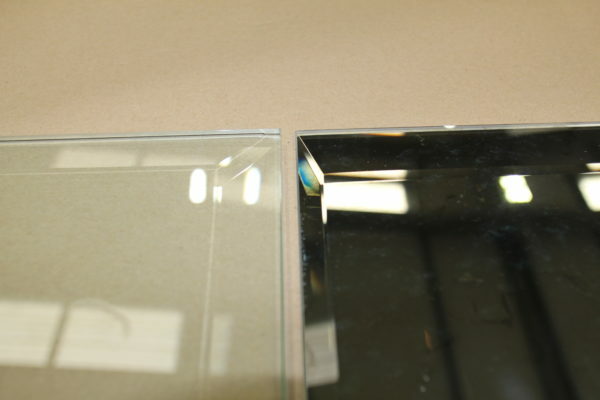 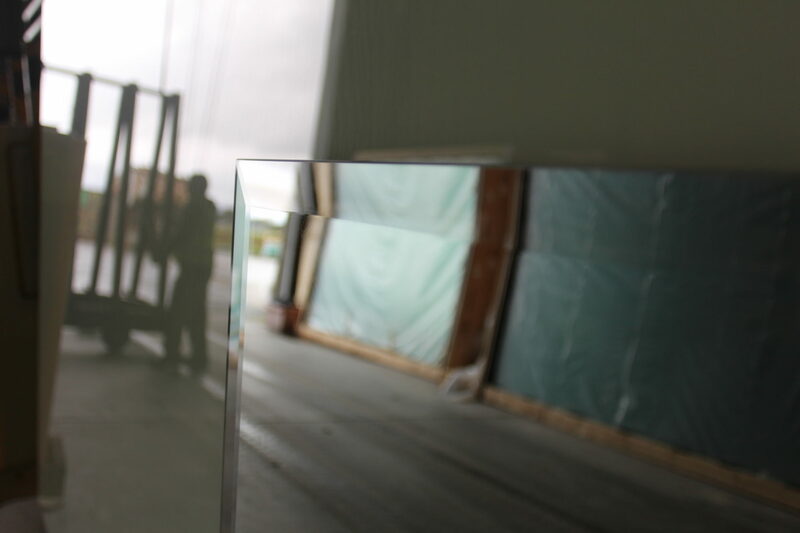 With this type finish, the glass is thinner and smoother around the edges, but the large middle portion remains the same.